December 10, 2018 – The effects of Hurricane Harvey are still front and center with many families in the Coastal Bend. Those without insurance or the means to fix their homes have had to live with the damage without the ability to move forward with their lives. United Way of the Coastal Bend’s Success By 6 Early Childhood Initiative brings Ready4K to Nueces County. Ready4K is a text message-based program that sends three texts a week to those who sign up: one fun fact, one easy educational activity and ways to continue the lesson during the everyday routine of the family. Each week focuses on a different topic that promotes social, emotional and educational development. The 25th Annual United Way of the Coastal Bend Golf Classic teed off on Friday, Oct. 26th at the Corpus Christi Country Club. A total of 216 players registered for the par-is-your-friend scramble in the name of charity. We operate with a diverse and dedicated Board of Directors who facilitate funding decisions and help ensure good stewardship with donations. 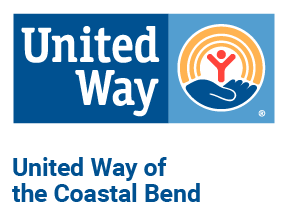 We're fortunate to work with every one of them and want to give you the opportunity to get to know some of the decision-makers of United Way of the Coastal Bend. United Way of the Coastal Bend’s Success By 6 Early Childhood Initiative encourages parents, educators and caregivers in Nueces County to sign up for the Ready4K text message program. Simply text “SB6kids” to 70138, choose a preferred language and the child’s age and you’re set. It’s free to sign up – though data rates may apply for the weekly texts – and geared toward children ages 0-5.